In his latest movie "Jomonte Suvisheshangal" Dulquer Salmaan plays the role of Actor Mukesh's son and the chemistry between the two fantastic actors is superb. Dulquer recently said that he could connect to some of the scenes in the movie as he felt that the same had happened to him with his father, Megastar Mammooty. There is a scene in the film where Mukesh's character is hesitant to buy his son a bike. 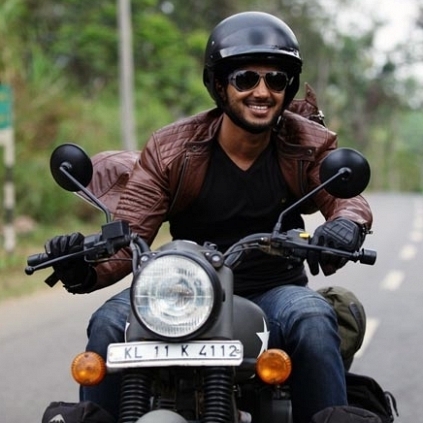 Dulquer said that when he was a kid, his father had told him not to ask for a bike when he grows up. Instead, the Megastar said "If I have money I will buy you a car, but not a bike". Dulquer said that his character in the movie succeeds in persuading his father and buys himself a bike worth 18 lakhs, but he can't even imagine pulling something like that off in real life with Mammooty. Shocking: Director slapped and sets destroyed. Video footage and details here! Nayanthara's next, Dora gets a release date! Breaking: D-16 director Karthick Naren gets this big star on board for his next! People looking for online information on Dulquar Salmaan, Jomonte Suviseshangal, Mammootty will find this news story useful.